So, you want to know if there's a valid reason to get better acquainted with your horoscope. Is studying your Astrology birth chart worth your time and energy? What, after all, is the payoff? I mean, Astrology is a complicated and ancient language! Any attempt to seriously learn it requires commitment. Why bother? What's in it for you? I am unapologetically pro-Astrology. I happen to believe that it should be taught in all universities the way it was "back in the day." During Queen Elizabeth the First's reign, she declared that all surgeons and lawyers also needed to be practicing astrologers. The Queen was no fool! In the late 17th and early 18th centuries Astrology was taught in several well respected universities across the world. Good old JP Morgan Chase stated that "Millionaires don't use Astrology, billionaires do." Would you dare to disagree with Mr. Moneybags? Hippocrates professed: "A physician without knowledge of Astrology has no right to call himself a physician." Historical figures from Galileo to Benjamin Franklin and Carl Jung knew how important studying their birth chart and the birth charts of others were. I can tell you that you are most definitely in good company if you decide to pick up your horoscope and take a deeper look. 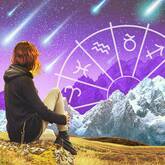 You might already be familiar with Astrology as a predictive tool that can help you learn more about the planetary cycles you're under, which may affect you in money, love, family, career or just about anything else you're curious to know more about. Without question, no other divination tool is more precise in its capacity to zero in on timing for major life events. What can you learn from your Astrology birth chart? But what about the birth chart itself? What's the point in knowing that Mars is square your Neptune or that Uranus makes a trine to your Venus, which is conjunct your MC? Does it really matter that Pluto is conjunct your Ascendant? Why trouble your brain with all of this complicated astro babble? Well, what if I told you that Astrology is the most comprehensive way to uncover who you really are and who you're meant to become? Astrology is a natural companion to psychology. If psychology is defined as the study of the soul, then Astrology is the study of the soul through the language of the stars. Deep inside your birth chart lays the secret code that will unlock your psyche and all of its potential. A thorough analysis of your chart will help you understand not only your talents, but also your short circuits. We all have them. Those not-so-nice qualities that tend to emerge when we're stressed out, anxious or trying to avoid something. Astrology can help you pinpoint your Achilles heel, as well as your glory. What's more, studying your birth chart can help you transcend your weaknesses and maximize your strengths. When you consider this, it soon becomes apparent that the benefits to studying your horoscope -- or anyone else's -- are priceless. For starters, you will appreciate what really makes you and those you love tick. What do you need more than anything else in the world to feel safe? Study your Moon for answers. How do you express love and what are some of your natural talents? Study your Venus. What do you look for in a partner? The answers are in your 7th House of Partnerships, any planets contained therein and by studying the ruling planet of your 7th House. 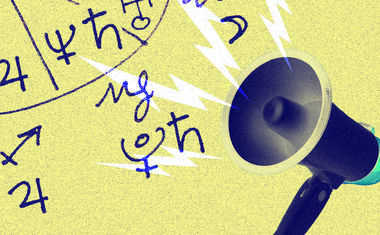 Whatever your question might be, Astrology can help provide answers more illuminating than you ever imagined. In addition, studying the Astrology birth chart of a loved one will undoubtedly help improve your relationship with them. Why? Well, if you have a tool that helps you understand how that person tends to operate within, then it naturally follows that you'll empathize with their tendencies -- even if you don't agree with or share them. This will lead to an improvement in your relationship instantly! Same goes for you. Studying your own chart will undoubtedly help improve the relationship you have with yourself! I'm fond of scouring the birth charts of my family, friends or colleagues whenever we experience patches of conflict or when I'd like deeper insight into their behavior. Not only do I see what their natural patterns are, but I can also compare my chart to theirs and discover how my own energy might not always harmonize with how they're naturally suited to express themselves. This realization puts it all in perspective when I am angry, upset or confused about any relationship. As you can see, the benefits of studying your birth chart are incredibly rich and multi-dimensional. 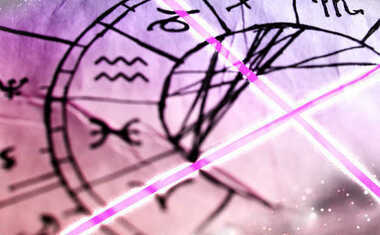 Astrology can provide razor sharp insight into the human condition in the most instant, on-target way. Why wouldn't you want to get your hands on a tool that allows you to look deeper into yourself than years of psychotherapy? From my perspective it's a total no-brainer. When Your Birth Chart "Makes Noise"